The marine shipping industry is one of the fastest growing sources of greenhouse gas emissions. Currently, CO2 emissions from this industry account for almost 3% of global GHG - about 300 million tons annually. Without real action, that number is expected to rise to 5% by 2050. So what can be done? This blog proposes a practical, effective solution: zero-emission hydrogen fuel cell technology, as an alternative to bunker-fuel power in some marine vessels. 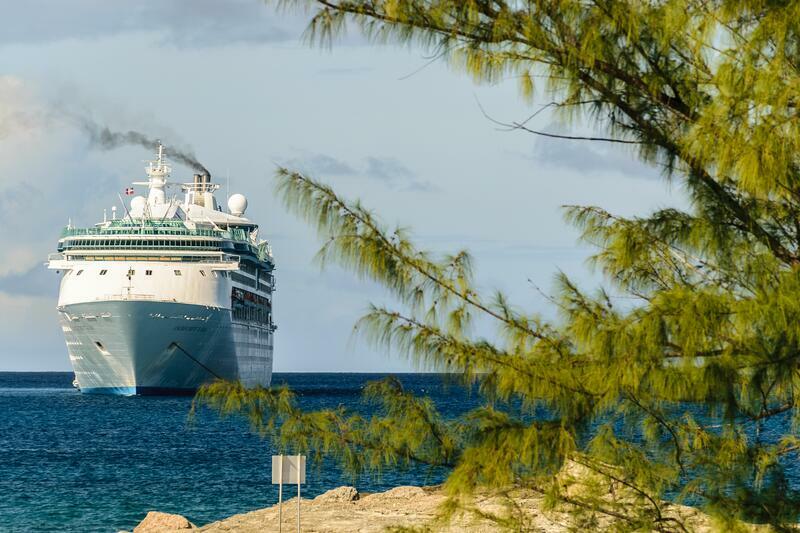 Facing pressure to reduce carbon emissions, governments, port authorities and non-governmental organizations across the world are tightening emissions standards for marine vessels. The proposed legislation will require emissions reductions of a scale the industry has never seen. The International Marine Organization’s regulations will reduce emissions by 50% by 2050, and completely eliminate them by the end of the century. The European Maritime Safety Agency plans to cut CO2 emissions by 50% by 2050. Norway will create the world’s first zero-emission zone on water. By 2026, emissions will be banned from the country’s world heritage fjords. Since 2005, the Port of Los Angeles and the Port of Long Beach have had a joint Clean Air Action Plan, with strategies to reduce pollution from every source. Ships are their largest source of emissions. The Port of Los Angeles’ Environmental Ship Index provides financial incentives to low-and-zero-emission technologies for ships. The US Environmental Protection Agency has been engaging with pollution-affected port communities to develop strategies. The State of Alaska’s Visible Emissions Standards states that visible emissions may not reduce visibility of a marine vessel by more than 20 percent, within three miles of the Alaska coastline. To meet these changes, fleet owners and operators will need zero-emissions vessels, for at least a percentage of their fleets, within a very few years. The truth is, there are very few zero-emission marine power solutions on the market. Development is already underway for fuel cell power systems for cruise ships, with other marine applications planned. Hydrogen fuel cells are a source of stable DC power that can be distributed across an entire vessel to power the ship’s engines and provide all its electrical needs. Current fuel cell systems operate at up to 55% electric efficiency. They generate no GHGs; in fact, their only by-product is clean, usable water. Fuel cell systems require very little maintenance, have low maintenance costs (fuel cell systems are rebuildable) and an extremely long service life. For a fleet operator seeking to replace bunker-fuel burning vessels, fuel cell systems are far more practical than battery-powered options. Because hydrogen has much higher energy density than batteries, fuel cell powered vessels can run longer, and travel farther, before refueling. Hydrogen can be stored in large liquid storage facilities, allowing for convenient refueling at docks. Early marine applications for fuel cells will likely be to power vessels that operate in ports and in Emission Control Areas. allow operators to appeal to sustainability-minded passengers. 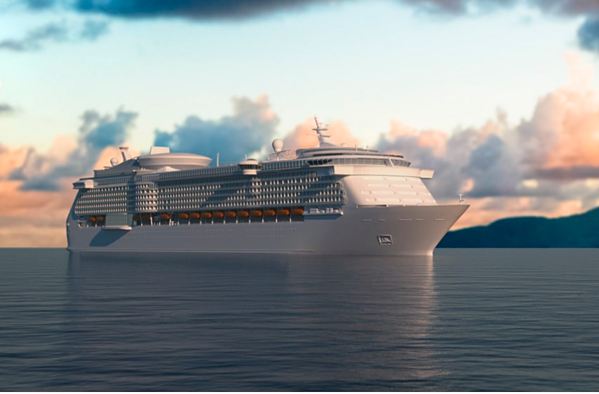 In partnership with ABB, Ballard is already developing marine fuel cell power systems, with an initial focus on the cruise ship segment. Are There Any Additional Marine Uses for Fuel Cell Power? Fuel cell technology can provide zero-emission power for many secondary or auxiliary uses. It can provide shipboard heat and power, including hotel power. It can also be used to provide “cold iron” power—electric power that is delivered to a traditionally-powered ship at dock via electric supply cables. This allows the ship to shut down its engines,- in turn reducing emissions while in port. Is the Technology Ready for Marine Use Now? Fuel cell technology is mature. With a little help from the infrastructure side, it will be ready. For over a decade, it has been in daily use in transit bus applications. It is being adopted for heavy-duty freight trucks and passenger rail. Marine applications are currently in development, and should become widely available within three to five years after the first systems are implemented and proven in the field. A specific challenge for the marine industry will be in developing hydrogen sources and distribution in the quantities required for large marine vessels. Production and distribution networks will need to mature before the marine industry will widely adopt fuel cell power. Across the world, organizations are taking action to reduce GHG emissions through tough legislation. The marine vessel industry is now facing pressure to do its part. Now is the time to look at solutions, and to move forward with a plan to switch to zero-emission technologies. Let’s work together to clean up emissions, and create a cleaner future for all. Download our free white paper to learn why fuel cells are the best solution to meet the zero-emission requirements for the marine industry.